Maduro repeatedly promised he would crash the summit, stating that he would attend “rain, hail, or shine, by air, land or sea,” and even hatched a plan to travel on socialist ally Evo Morales’s plane in an effort to attend. President Donald Trump will also not attend the summit in light of recent chemical attacks in Syria, although Vice President Mike Pence and Sen. Marco Rubio (R-FL) will now go in his place. The pair is expected to discuss the regional response to current political, economic, and humanitarian crisis taking place in Venezuela. 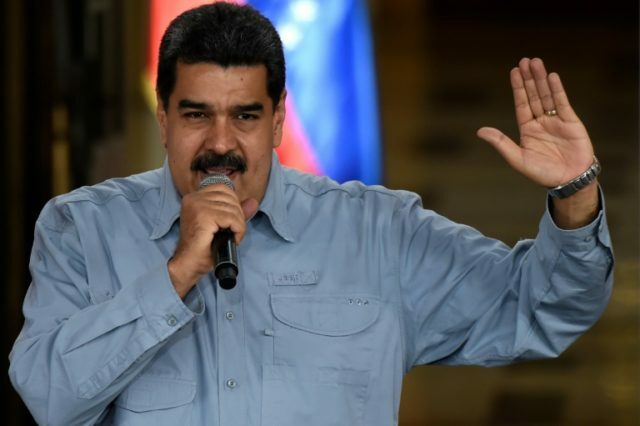 The U.S. is currently weighing up additional economic sanctions against the Maduro regime in response to multiple human rights abuses and the degrading of democratic institutions. Speaking of Trump’s decision not to attend, Maduro claimed that Trump did not want to meet other leaders due to their bad smells and was scared of meeting him face to face.